Jung-Yeon(Jeon Do-Yeon) is married to Jong-Bae (Ko Soo) and they have one daughter named Hye-Rin (Kang Ji-Woo). Jung-Yeon and Jong-Bae run a small car repair shop together. Although they don't have a lot of money, they work hard and feel content with their lives. 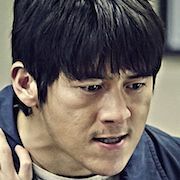 Everything changes for them, after a friend of Jong-Bae commits suicide. Jong-Bae signed a loan for his friend as a guarantor prior to his friend's suicide. Jong-Bae learns that he is now on the hook for the loan and sky high interest charged by the loan sharks. Soon, Jung-Yeon and Jong-Bae must sell their auto repair shop and apartment just to pay off the loan. They now live in a small one room apartment in a shady neighborhood. Their financial situation is even more perilous as they are months behind on their rent. Around this time, another one of Jong-Bae's friends mentions that he wants to hire someone to smuggle gemstones into Paris, France. His friend is offering several thousand dollars and mentions that even if they get caught, they will just have to pay a fine. Later, Jong-Bae calls his friend to take up hid offer, but he learns that the job is for only a woman. As their financial situation worsens, Jung-Yeon makes a phone call without her husband knowing and offers to smuggle the gemstones into Paris. She leaves a note for husband and gets on an airplane to Paris. 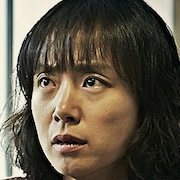 At the Paris airport, Jung-Yeon is arrested and she learns that is arrested for transporting large amounts of cocaine into the country. Her harrowing struggle to find her way back home begins. Filming begins January 26, 2013. Movie is based on the true story of Jang Mi-Jung. She was arrested on October 30, 2004 at Orly Airport in Paris, France. Jang Mi-Jung eventually served prison time on the French island of Martinique in the Caribbean. She was finally able to return to Korea on November 8, 2006. Actor Ha Jung-Woo was originally cast as the husband, but dropped out of the project due to a delay in filming which caused scheduling conflicts. jinjoo May 27 2017 11:25 pm wow gr8 movie, i hvnt cried in a movie or kdramas in a while but this one got me really in tears! great acting of both Jeon do yeon & Go Soo - she's always an amazing actress! i highly recommend this movie! Atiq Apr 21 2017 9:18 am Good movie..
GT Nov 06 2015 8:03 am Wow if what is shown was true, the 2 Korean embassy staff should be sacked for their indifference. Not bothering to find an interpreter and just sitting on their butts when the husband had done all the work for them. Gheez!! Also it was kind of the press to sponsor the husband to go check up on the wife. Titi Adha Aug 27 2015 2:33 pm At first, I felt my veins were gonna burst bcause of the officers and embassy Then I turn into tears..
carmi Aug 01 2015 8:04 am The movie was very good... it will leave a mark to those who will watch it... my eyes are swollen from crying... a must watch movie. gasenadi Nov 22 2014 11:02 pm Ki's review got me to watch this movie and I'm glad I did! Yes, I would imagine it caused quite a stir when it came out. And for good reasons, too. There's a definite message the movie wants to send, nuances be damned. Kudos, as always, to Jeon Do-Youn. Always leaves me breathless, she's so great. Even Ko Soo's shows improvement. For me, one of those "must see"s.
Tomasz Drgas Jan 09 2014 11:39 pm Well movie is very dramatic.. 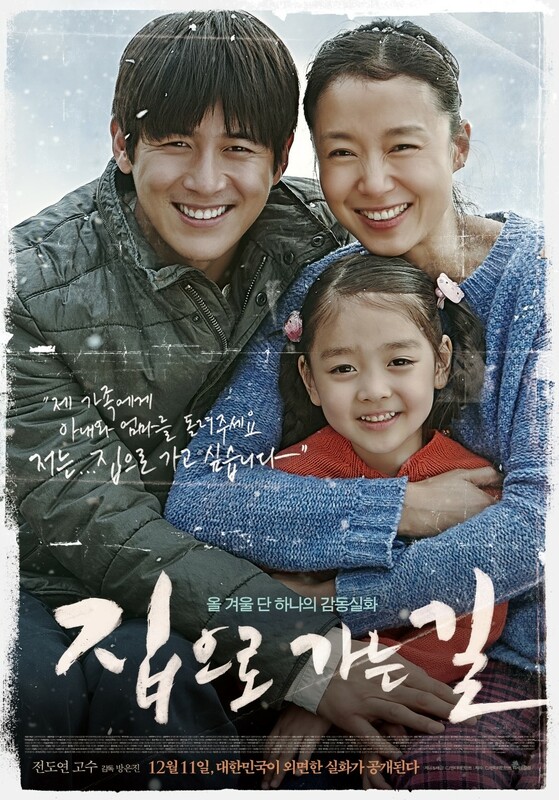 I mean comparing to real story in which she was arested and made her time and came back..
Ki Dec 11 2013 1:53 am Wow ... just watched this movie on the first day of release here in Korea. I think this movie will get a lot of people talking and it does make for quite a dramatic experience. One caveat with the film is that it has an overtly commercial feel, with moments where you almost feel obligated to shed tears and characters that are almost comic book like in that they are so clearly delineated between good and bad. On the positive side (and not much of a surprise), Jeon Do-Youn is simply superb in the movie. I guess the easiest comparison with this film is her prior film "You Are My Sunshine" which is also based on a true story. Like "You Are My Sunshine", "Way Back Home" has some cheese ball moments and some other moments that genuinely draw tears. It's a pretty good film, that could have been great if it had more depth (pretty much applies to every film directed by Pang Eun-Jin). melaskr Nov 18 2013 8:47 am i will definitely watch this movie!